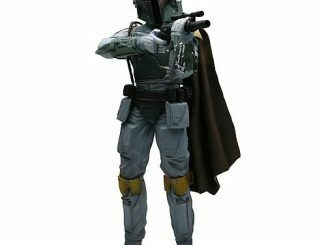 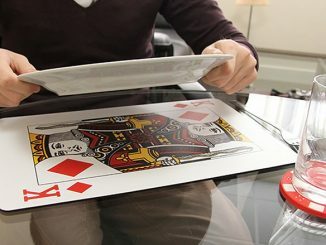 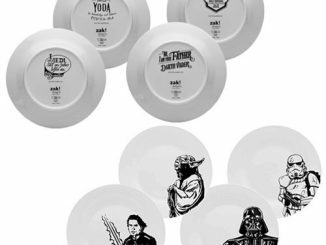 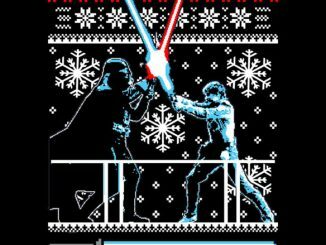 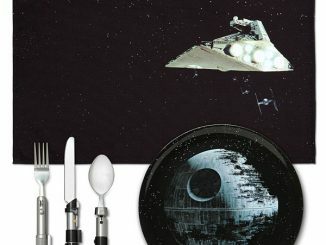 The Star Wars Cloud City Dinner Set features Luke and Vader’s classic duel on the plate. 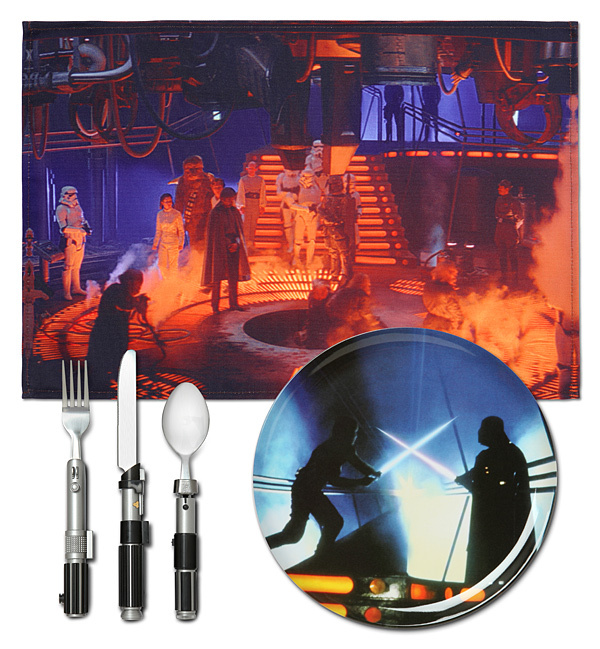 The placemat features a scene from the Carbonite freezing chamber. 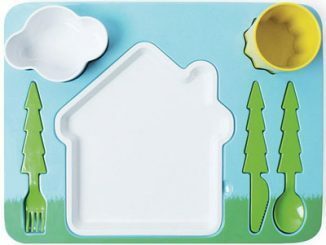 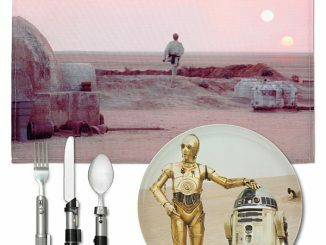 You get 1 plate, 1 placemat, and a 3-piece flatware set. 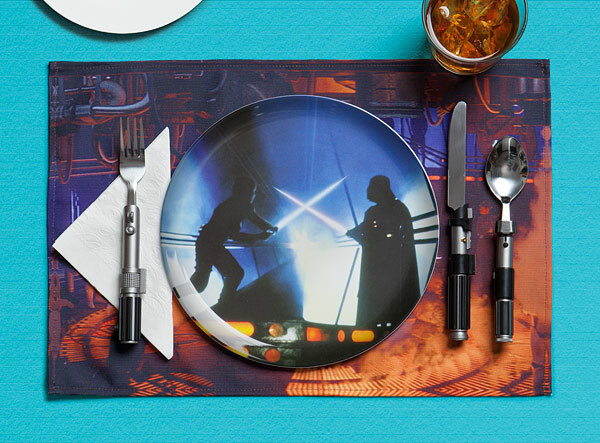 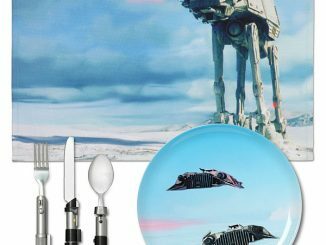 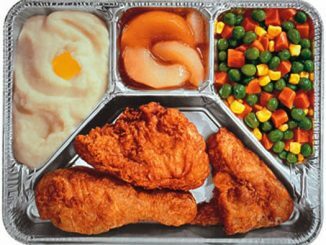 Everything you need to have a Star Wars themed meal.